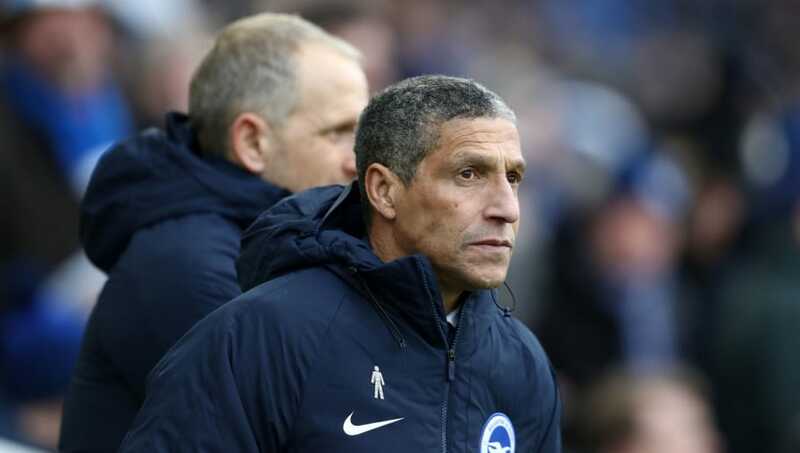 ​Brighton and Hove Albion manager Chris Hughton has called on the Football Association to take action against West Bromwich Albion fans after a section of supporters targeted defender Gaetan Bong​ with a series of derogatory chants. Wednesday's FA Cup clash between the two sides marked the first time that Bong returned to The Hawthorns since accusing forward Jay Rodriguez of making racist remarks towards him last season. Rodriguez, who was found not guilty of racism, maintained that he was simply laughing at Bong's bad breath. Speaking to ​Sky Sports after the game, Hughton appealed to the FA to involve themselves in the situation after fans called Bong a "smelly b*****d", in reference to Bong's accusations towards Rodriguez last season. He said: "It's down the authorities and governors of our game, and what we see and hear, for people to deal with. "It's not nice but the game has done very well in recent years in picking up on anything they need to and the original case was dealt with very well by the FA. "You are going to hear things you think are unfair and don't want to hear and that then becomes the responsibility of others. "I heard them, it's difficult not to but I prefer to talk about the individual. We have an outstanding individual and our support goes to our players." A group of ​Brighton fans could also be heard singing chants in which they called Rodriguez a racist, but ​West Brom boss Darren Moore urged people to move on from the incident and the match itself. He said: "I didn't hear the chant. I heard the chorus of boos. We know what the incident was. The game is finished and over with, we move on. We can't let these things overshadow the game." Late goals from both sides sent the fourth round replay to extra time, but two goals from Brighton talisman Glenn Murray ensured the Seagulls progressed to the next round of the competition, where they will face ​Championship side ​Derby County.